Sajjan Jindal-led JSW Steel will be raising up to $1 billion via the issuance of non-convertible foreign currency/rupee denominated senior unsecured fixed rate bonds to up capacity at its Vijayanagar steel plant in Karnataka. “The entire amount will be used for capex where Vijayanagar steel plant capacity will be increased to 18 million tonnes from current 13 million,” sources close to the development told Business Standard today. Funds will be raised in one or more tranches, in the international market either by JSW Steel or by any of its overseas subsidiaries backed by a corporate guarantee of the company, informed JSW via an exchange filing today. "We hereby inform you that the company is contemplating issuing of debt instruments in the form of $ denominated senior notes, subject to market conditions," said the BSE notification. The fixed rate bonds will not be offered or sold in India. Meanwhile, Fitch Ratings has assigned a BB(EXP) expected rating to JSW Steel's proposed US dollar senior unsecured notes. JSW's ratings reflect its highly competitive conversion costs and position as one of the largest steel producers in India, which is one of the fastest-growing steel markets globally, said Fitch Ratings. However, rating headroom is limited as we expect an increase in leverage and negative free cash flow in FY20 and FY21, it added. 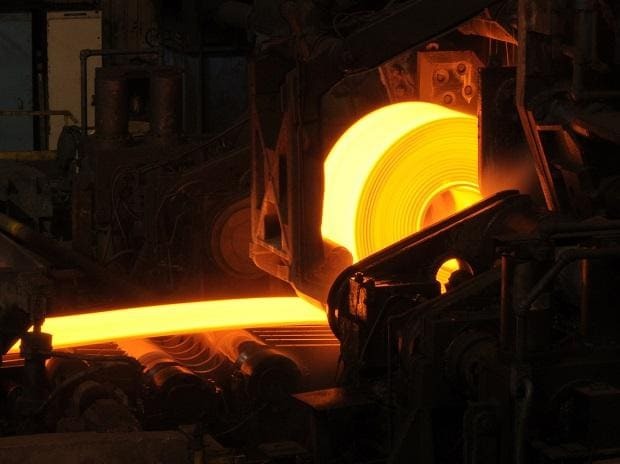 "These forecasts are driven by our expectation of moderation in steel industry margins in 2019 and an increase in capital spending as key projects near completion. A further increase in planned capex, following a jump in planned capex in 2018, or significant weakening of global steel industry fundamentals could weaken the company's financial profile," said Fitch. The company intends to spend around Rs 400 billion over FY19-FY21 in India capex. The company’s as on March 31, 2019, has a consolidated net debt of Rs 46,000 crore. In FY19, JSW Steel acquired stakes in several assets in the domestic, as well as, overseas market. In India, the company acquired 23 per cent of Monnet Ispat and Energy (1.5 million tonne capacity), and has emerged as the highest bidder for Bhushan Power and Steel (2.5 million tonnes). With this, the company will get a much-needed presence in the eastern part of the country. JSW Steel also acquired assets in Italy (Aferpi) and the US (Acero Junction) among the overseas acquisitions.